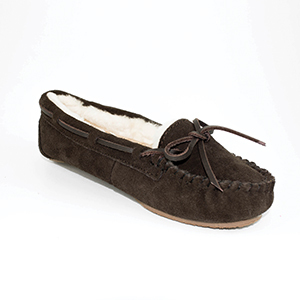 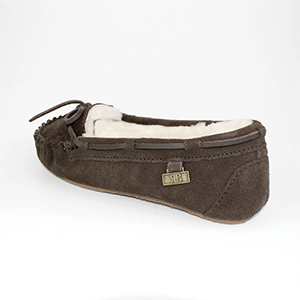 This modern Women’s Moccasin is our version of luxury. 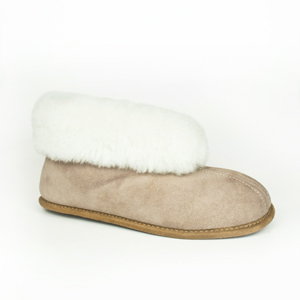 Made with only the best quality sheepskin, the detailed stitching and leather lace make this slipper the definition of comfort and fashion. 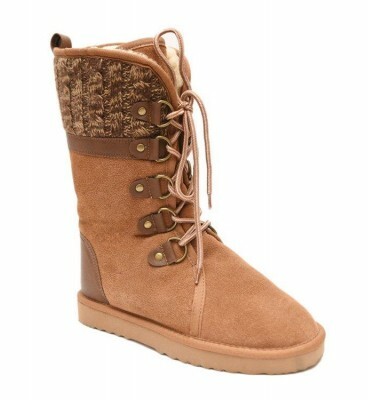 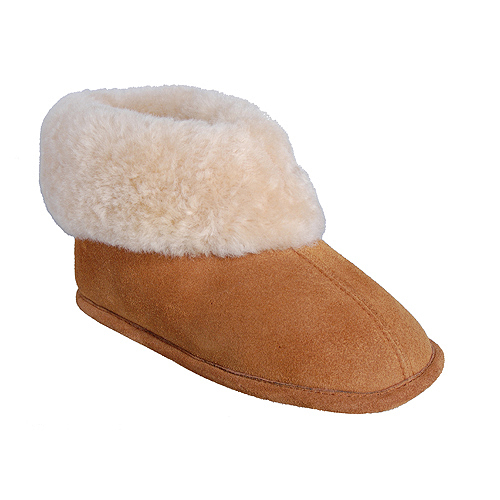 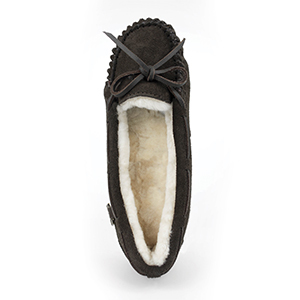 The outside is covered in soft suede and the inside is exclusively genuine sheepskin wool. 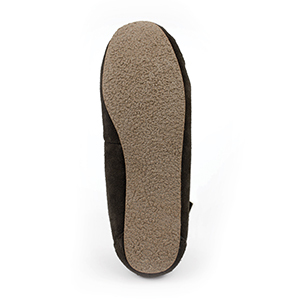 This classic style is equipped with a sturdy rubber sole which makes it perfect for hanging around the house, or taking the garbage out.